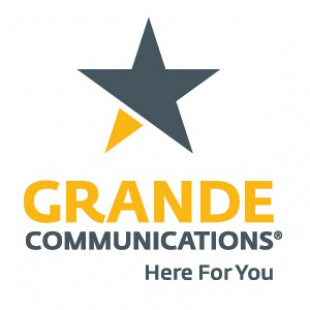 Grande Communications is offering gigabit internet access to Austinites at $65/month. Google and AT&T are both going to, or already offer, gigabit internet access in Austin, Texas, but a smaller underdog has beat both tech giants to the punch. San Marcos, Texas-based Grande Communications is the provider in question, and the small company has already started offering gigabit service to its customers in West Austin. At $65 per month, the gigabit service is $5 cheaper than what AT&T currently offers (and Grande's price goes down even more when bundled with TV or phone service), and it's coming online several months before Google Fiber. Grande Communications might be pequeÃ±o in size when compared to Google and AT&T, but the company seems committed to protecting its turf. "There's a certain sizzle to 1 gigabit that people are excited about," said Grande President Matt Murphy to Austin360. "We're nimble and able to do things faster. We're consciously doing this to beat Google. We've always made a dedicated effort to have the fastest Internet speeds in all the areas we serve, and that's what we're doing here." This is great news for Silicon Hills residents, but what does it mean for the rest of us? We're all stuck with 20 Mbps service, usually tied to a telecom giant that cares about its customers as much as Dennis Nedry cares about maintaining a clean workstation . For starters, it proves that smaller, non-national telecommunications companies can pull off bleeding-edge services without charging an arm and a leg. And it also serves as a small, glimmering hope for meaningful telco competition, which essentially doesn't exist at the moment.